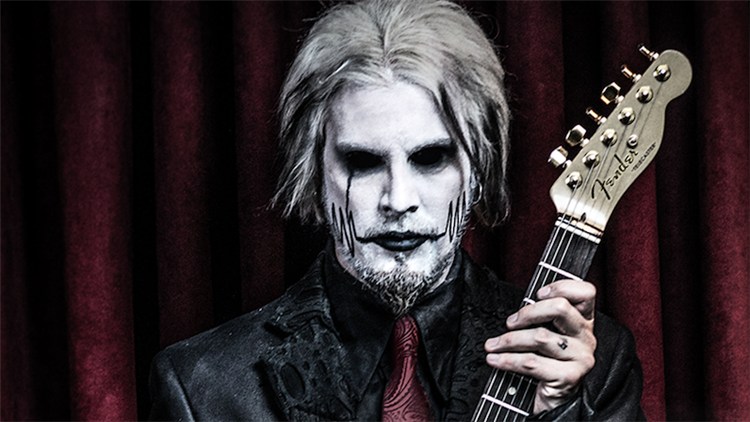 John 5 has played to crowds of thousands and toured the world as the guitarist for Rob Zombie and Marilyn Manson and worked with everyone from KD Lang and Lynyrd Skynyrd to Slash and Ricky Martin. 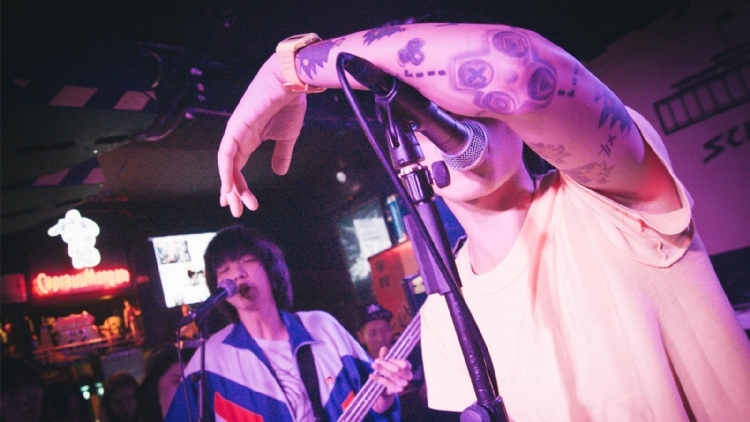 It'd be easy for him to be blasé about an upcoming gig, yet his excitement at his debut shows in China is palpable - it comes across not only in his voice, but also in the barrage of questions he asks about the country. 'This is a bit like I'm interviewing you,' he jokes at one point. Some of his comments on coming to China you'll find below, but we also discussed his covers of classic tracks, his guitar technique and the release of his latest album as a series of monthly YouTube videos. Yeah I’m really, really excited about it. I’m honoured. I’m thinking about it every day. My dream is to travel the world playing guitar and I have never been to China with Manson, or Zombie, or KD Lang or anybody so I’m really excited to meet the people and talk to people. And of course do the show, but I love meeting the fans – because I’m a fan. I was that kid, waiting at the show, so I love meeting the fans and hearing what they have to say. And I know that’s a bit, y’know… but it’s the God’s honest truth – and I’m always so interested. Because I was that kid and I was saying things and I was asking questions, so that’s what I like to do, to interact with the fans. You released a cover of 'Enter Sandman' last week. What led you to take on that song? I’ve been putting out instrumental covers of songs that mean a lot to me and that have influenced me or driven me. I did a cover of ‘Fractured Mirror’ from Ace Frehley's 1978 solo album, and then I did ‘Beat It’ because that was a tribute to Michael Jackson and the great Eddie Van Halen, and then I did ‘Welcome to the Jungle’ because that made me move to Los Angeles and pursue my career. And then ‘Enter Sandman’, I was hanging out with the Metallica guys on the ...And Justice For All tour and I remember when I heard ‘Enter Sandman’ I was so blown away and it was one of my favourite songs. 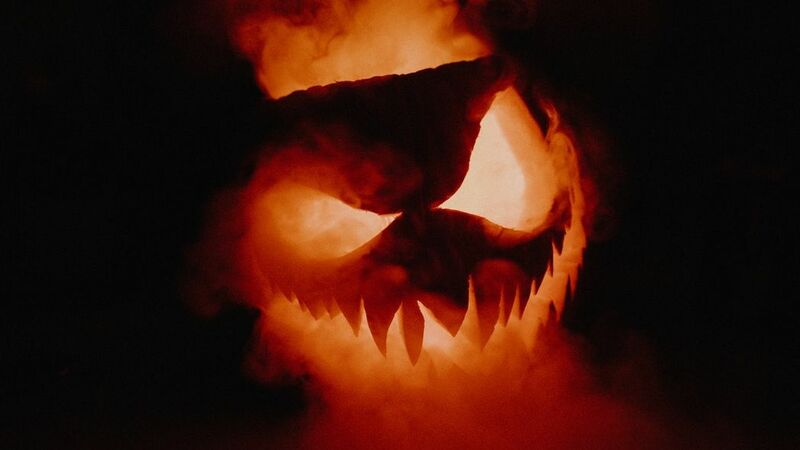 And it being Halloween I just wanted to pay tribute to the great Metallica and I wanted to do it and get every melody line, every word in there I can, so I’m really proud of it and people really enjoy it. I haven’t played it live yet, but I’m going to do that in a few days and I think everyone’s just going to sing along so it’s going to be a really cool experience. And have the Metallica guys heard it? Have you had any feedback from them? Yeah I spoke to Kirk and he really loves it. I don’t know if the other guys have heard it but Kirk has and he really enjoyed it, which is so cool. Is it daunting taking on such iconic songs and doing your own versions? Yeah. You know, I want to do it right. I want to pay amazing respect to it and do the best I can on it, but that’s what’s fun about it. Putting the vocal lines and melody through the guitar, really trying to get every syllable out, it’s really time consuming to really pay respect to these great songs. I’m doing my best. It’s really, really fun. We’re going to do like a nine-minute medley of songs from Van Halen and ACDC and Ted Nugent – they’re classic tunes. Let's talk about Season of the Witch, which you initially released as a series of monthly YouTube videos. Well here’s how I looked at it: the music industry now is in such disarray and I have a young son and how he listens to music and watches music is on YouTube. There’s so many great bands that release records but nobody really listens to all the tracks. When you and I bought albums back in the day, we absorbed every single track; we just listened to every single note on that record. But nowadays kids are not going to listen to track eight. We’ll be lucky if they get to track four. So I was like, I’m going to give the fans a choice: here’s a new song and a new video for this month and then the next month here’s a new song, here’s a new video, so when I put out the record Season of the Witch it was like a greatest hits; they were like, ‘oh my god – I know every one of these songs!’ And it really worked out amazing – and I do this for the love of the guitar, for the love of music – I’m so happy that’s how it worked out. And that’s what I’m going to do for the next record. It worked so well, so why not. Because if I was like to you, ‘hey man, you gotta check out this band The Black Curtains’, and you’re like, ‘okay, well I’ll go check out The Black Curtains’, how would you check out that band, honestly? I would probably go to a streaming site or to YouTube. Yeah, a streaming site or YouTube. And that’s what probably 90 percent of people do. And that’s exactly what I’m doing and it worked out so well because music is so visual now. If I said check out this band, you can watch the video too. Even when a song is up on YouTube and it’s just the cover, there’s so many hits – that’s how people are listening to music. And I’m not against it, because I do it too – I support it. Do you think it’s a shame people don’t absorb records in the way they used to though, or is it a good thing, is it forcing people to make better records because every song has to grab you? Exactly. That’s exactly it. People are making better records because every song has to matter. Because people are just cherry-picking. The audience is the A&R group, the audience is the one picking the songs they like and what they want to listen to. So I’m giving them ‘here’s your song this month’, and it really worked out really well and I think I’m just going to continue on with that. How does that approach affect the writing process? Do you still write for an album? I’m still writing it as a record. But I’m putting a lot of attention onto every song. When you listen to them, there’s so much thought that goes into it, there’s so much information. And if you come to the show you’ll see, if you listen to my songs and study my songs, we play it exactly like the record. So there’s probably 500 notes in each song and we’ll play it exactly how it is on record, we don’t improvise. And we’re doing like 15 songs, that’s a lot of notes to remember in your brain! Oh yeah, that’s what I love. It’s like you don’t want to always eat the same kind of food, you want that variety and I think that really comes across when you come to a live show: we’ll knock out this crazy music, but then we’ll hit you with this kind of western swing-type song – and we do it traditional, so it sounds like a western swing band doing it. And people really enjoy it, they love the variety of it, those are the responses that I’ve gotten. It’s been working out really well. And our show is like nobody else’s – it’s kind of like an Alice Cooper instrumental show, it’s so weird and entertaining. A lot of the guys bring their girlfriends and they end up going, ‘oh crap, this is really cool’. How does it work with the videos? Do you have a visual idea in mind when you’re making the music? That came later, but with ‘Enter Sandman’ I do have an idea for the video and it’s going to be so cool, but for the other songs no I did not, that came later. But I really put a lot of thought into the videos. We do that song ‘Hell Haw’ and there’s a show in America called Hee-Haw and it’s exactly like Hee-Haw but if it was like the dirtiest jokes and things like that. I try and put a lot of thought into the videos and to make them as entertaining as possible. There’s a lot going on, that’s for sure. How do you balance your various responsibilities? If Rob Zombie calls you in do you have to drop everything else? To be honest, that takes precedence. If Rob calls me up and says ‘hey come and work on this song’, that has to take a front seat of course. But then when I have time off, I get to work on The Creatures. But it’s a great balance. Because Rob isn’t doing Rob Zombie music 24 hours a day, 365 days a year so it’s good that way. I have something to do while he’s working on movies or taking time off, because I love playing guitar so much – I was just playing before you called, that’s what I do all the time. Are you constantly writing or is some of it just playing around? I’m writing a lot and then I’ll come up with a technique and I’ll put it in a song so that I don’t forget that technique and I’ll practice it. You get in a rut playing a certain way and what I do is I have all these new little tricks and I’m like, ‘oh cool, I wanna put that in a song so I never forget it.’ Then I’ll be playing that song all the time and that’s really helped me a lot. Because then you have a massive vocabulary of guitar things that you do and you have this amalgamation of all these different styles that you’ll always be practicing, so I like that, it’s a lot of fun that way. Do you still write much for other people? I don’t. I get asked all the time. I don’t because it’s so much work, and it doesn’t really pan out, financially it doesn’t really work so I just kind of write for Rob Zombie and I write for myself and that’s about it. I mean, if my buddies are like ‘hey, let’s write’, if Ace Frehley wants to write then of course, they’re my buddies, but I’m not writing for other artists like I did before. Was there someone who was difficult to work with who sparked that? Luckily I have never had a really bad writing experience. Maybe because everyone I wrote for, I was always familiar with their material – I never went in blind. I always knew who I was going in to write for – even when I went in to write for Ricky Martin or someone like that, or Lynyrd Skynyrd or anything like that, I knew the material so I was ready. Do you have a preference when it comes to performing live - doing your own thing or playing with Rob Zombie? It’s such a complete, complete, complete opposite thing. Being on stage with Zombie and playing in front of 20,000 people… it’s incredible and the roar is amazing. But when you’re doing my show, oh ho ho ho – it’s different. There’s a difference when you’re doing a concert and you’re at the very front of the stage, at those big shows you’re a good 30 feet away from the person in the front row sometimes. You’re far away from people. And even the smaller Rob Zombie shows, like a theatre, you’re still a good 10 feet away. When you do my shows, and it’s so technically challenging, you have to be on your game. Sometimes people are six inches away from you. Now that, try to imagine if you’re playing this technical technical thing and somebody is standing right in front of you, right there watching you – it’s so much fun for me. That’s what I like. Of course I like playing the huge shows, but I really like playing the smaller shows too. It sounds crazy, but I love it. It’s so much fun. It’s funny where you went with that. I was expecting you to say there was a lot of pressure when someone is six inches away and watching intently at what you’re playing, not that it was a lot of fun. Oh it’s pressure, it’s pressure, but I like the pressure. It gives a sense of excitement. It gives a sense of anxiety. And that’s what I really enjoy. It’s literally like juggling chainsaws, because if you miss something, you’re pretty screwed. You ever see those things where people are racing bikes and one person falls and a lot of them fall? That’s what it’s like. We rehearse so much. It’s like a well-oiled machine. It’s really a lot of fun – we have a lot of fun at these shows.